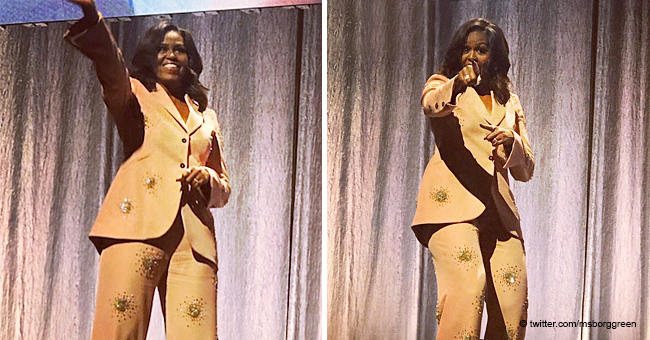 Former US first lady Michelle Obama wowed in a custom-crystal-embellished mint suit as she took the stage in Stockholm, Sweden. 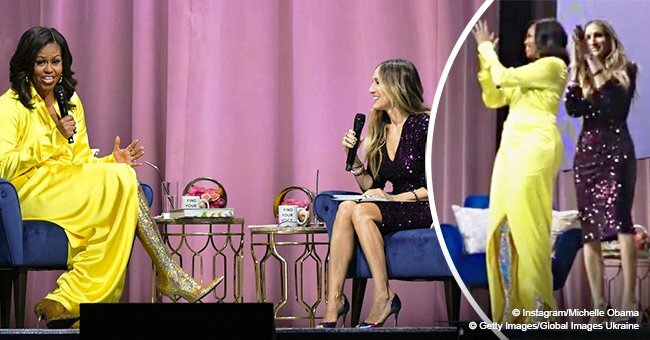 The 55-year-old mother of two, who completed her impeccable look with a pair of $675 heels, expressed excitement over her European tour. 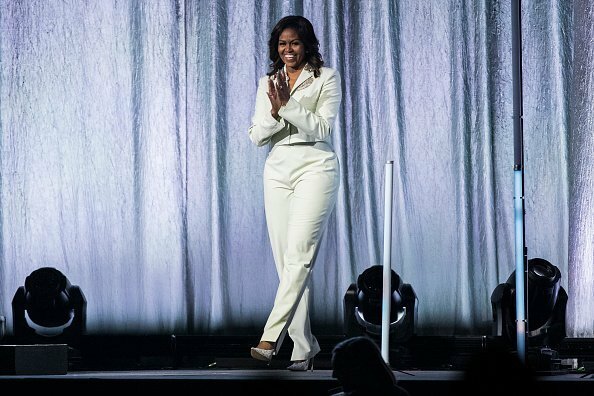 She stunned the audience in an elegant bespoke suit designed by Swedish fashion brand, Acne Studios. 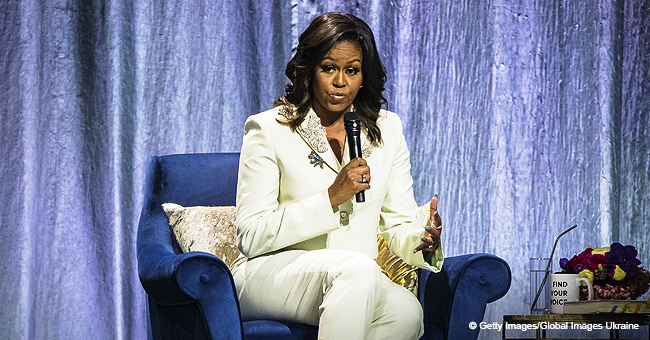 Her blazer was adorned with crystals and a gemstone encrusted pin. Eyes are also drawn to her $675 glittery Jimmy Cho sling-back heels. She recently graced the cover of Elle Magazine’s December 2018 issue, donning an edgy $2,400 black corset over a white collared shirt and peasant skirt. 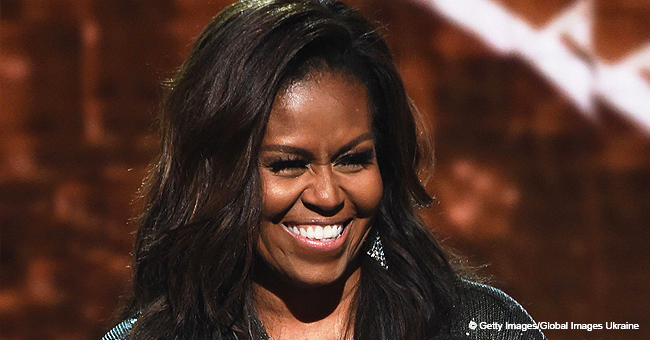 Wearing her dark hair in loose curls around her shoulders, the former US first lady accessorized herself with a pair of silver statement earrings. 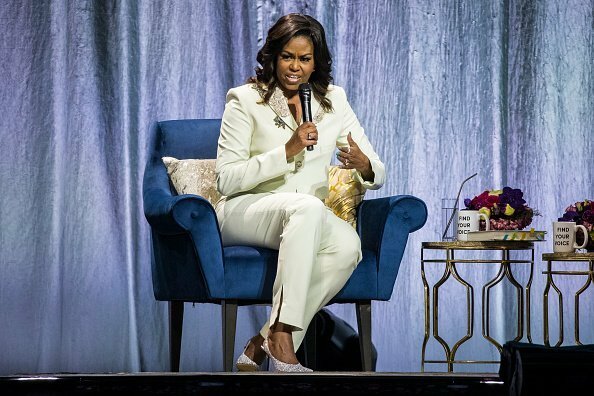 Before coming to Sweden, Michelle talked about her book in Copenhagen, where she wore a $2,310 light pink suit by Danish designer Stine Goya. 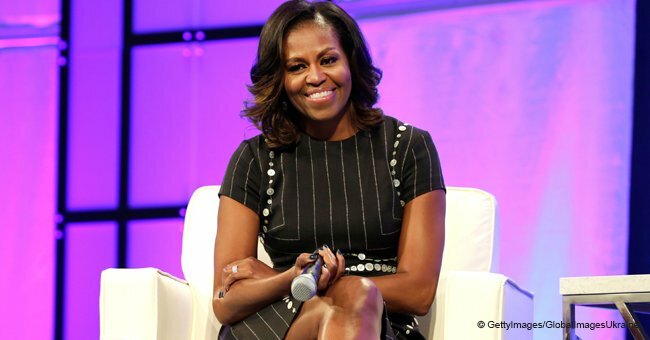 Michelle, who gained international recognition following her husband Barack Obama’s election into US presidency, has been widely praised for her fashion choices. She matched her Dior ensemble with a pair of lace-trimmed black high heels and a trendy hairstyle. 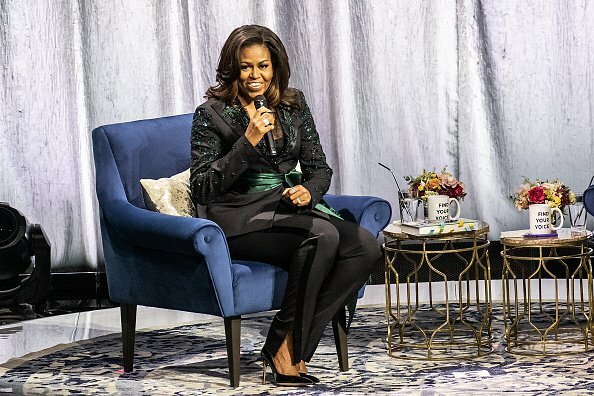 She sat down with Oprah Winfrey for an interview for Elle.